Finding inspiration in the local properties preserved by the National Trust, Crane Garden Buildings designed a range of sheds and summerhouses with characterful and traditional features in mind. 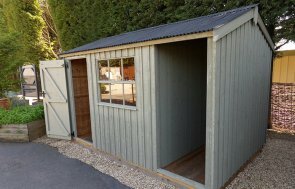 One of our Felbrigg sheds from the collection was recently installed for a customer based in Slough, Berkshire. 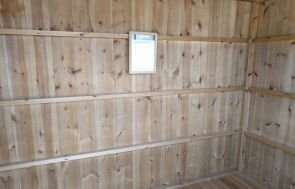 As with all of our FSC® certified timber buildings, the shed was designed and hand-built in Norfolk before being delivered and installed at the customers address by our expert, in-house fitting team. 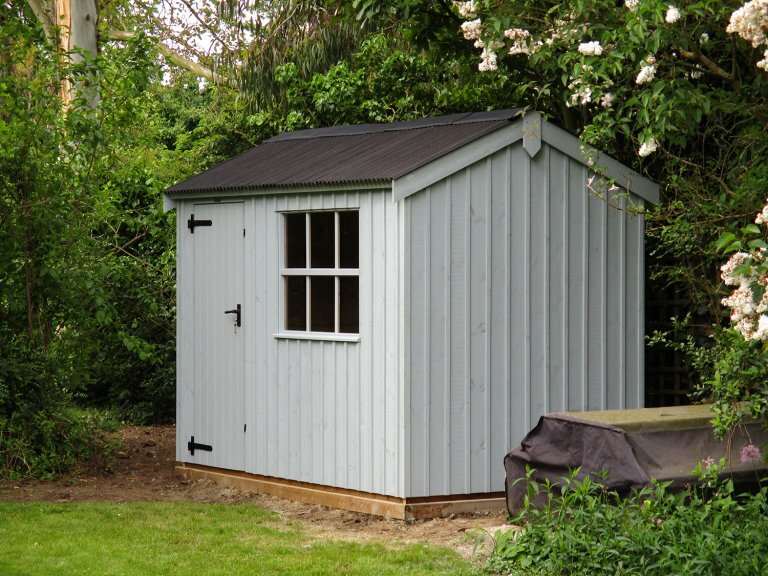 Installed in a quaint corner of the customer’s garden, the 1.8 x 3.0m shed boasts rustic-cut, vertically-sawn cladding painted in the Painters Grey shade of our six National Trust colour options. It has an apex roof which is covered in our corrugated material and a single fixed window with Georgian bars. The door has cast-iron door furniture to further enhance the traditional feel. 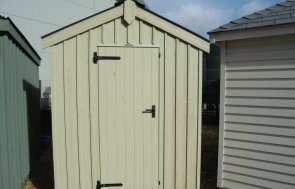 If you would like to view our entire range of Garden Buildings, you can do so by paying us a visit at your nearest showsite, which may be located at our show site at the Hillier Garden Centre in Newbury, Berkshire. Here you will find up to 25 buildings on display and our helpful team of friendly experts who will be on hand to assist you.